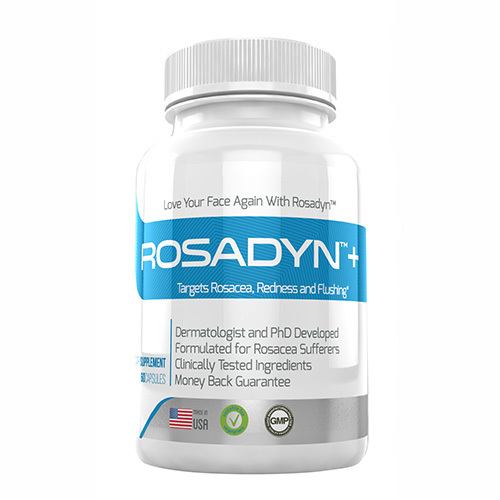 Listed below are some of the best over-the-counter products that can help reduce these annoying rosacea symptoms. 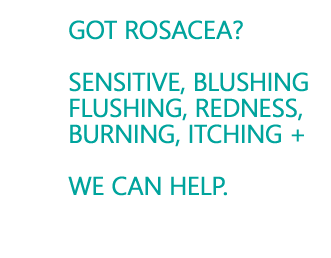 Common rosacea symptoms include facial redness, inflammatory papules (red bumps), inflammatory pustules (red bumps with puss), telangiectasia (broken blood vessels) and uncomfortable, hypersensitive skin. FYI: Product Cost ($) less to ($$$) more also note “Additional benefits” some products provide additional benefits for helping rosacea skin. Nordihydroguaiaretic Acid and Oleanolic Acid effectively help reduce visible signs of acne. Sebum Sequestering Micro-Particles, a form of polymer technology, help absorb excess surface skin oils without causing skin dryness. Hyaluronic Acid, Aloe Vera, Chamomile Extract, Squalane and Shea Butter protect and hydrate delicate, sensitive skin often associated with rosacea without exacerbating acne in those prone to oiliness. White Tea, the most potent antioxidant form of tea extract, Superoxide Dismutase and Vitamin E fight free radical damage and help in skin rejuvenation. Keep It Calm Relief Serum contains a wealth of beneficial ingredients that address multiple symptoms of rosacea from redness to inflammation. Ranunculus Ficaria Extract: helps to prevent dilation of blood vessels. One of the top constrictors on the market. Potent constriction that acts directly on the superficial and mid-level dermal blood vessels at the concentration used in this formula. Sea Whip Extract & Dipeptide II: Both helps neutralize the pain and swelling associated with Rosacea. RosaSkin’s Manuka Honey Mask was developed based on scientific and clinical studies that demonstrated that certain strains of honey have calming actions on rosacea skin and can thicken the outer layer of facial skin cells through local rejuvenating actions. This can be used during a flush to reduce the inflammatory response or it can be used anytime during the day to calm down skin and help keep it in an anti-inflammatory state. After using this unique mask for a while many will notice a decrease in overall facial redness and reduced flushing incidents. 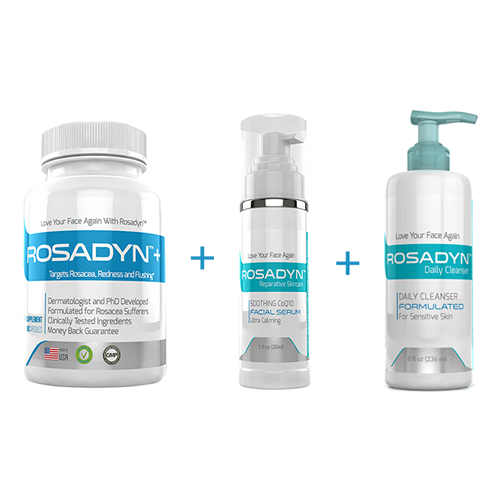 Soothing ingredients clinically-proven to treat multiple symptoms of rosacea skin including flare-ups, facial redness, flushing and outbreaks, inflammation and irritation. 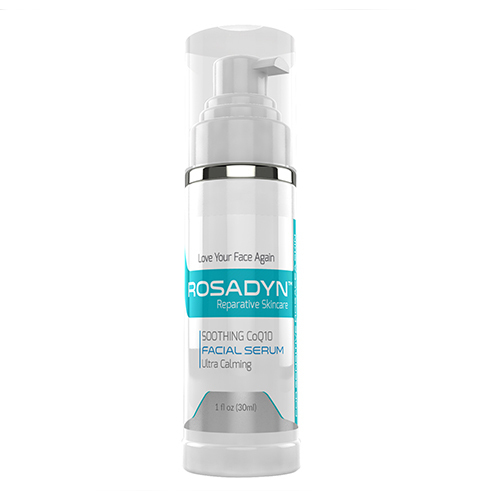 Anti-Redness Serum that helps to reduce inflammation, redness and hypersensitivity. Aldavine – This is one of the most potent constrictors on the market that is derived from polysaccharides found in red and brown algae. Light weight formula that absorbs quickly helps to reduce facial redness, itching and facial irritation and even skin tone. Obagi Rosaclear Metronidazole Gel actively treats rosacea papules and pustules associated with rosacea. This product is similar to the prescription low strength metronidazole gel (.75). 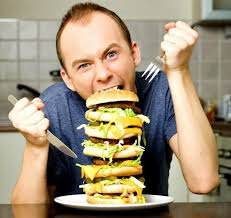 Some may also notice reduction of redness. This anti-inflammatory gel is a good choice for those that want to stick to over-the counter treatments that are affordable. The Clearasil Stayclear Adult Tinted Acne Cream clears pimples and papules without over-drying your skin. The sulfur resorcinol formula of this maximum strength acne treatment cream gets deep down to the root of pimples and dries them up. Not only does it heal pimples, but it also prevents future breakouts and conceals those blemishes on your skin. For rosacea sufferers who have responded to topical prescription sulfur creams, gels and facial wash, this is an excellent choice to use for papules and blotchy-inflamed areas. 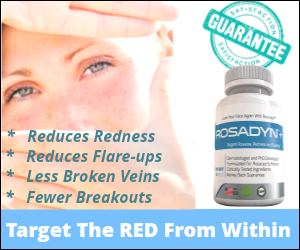 Rosacea symptoms are diminished by controlling oil production, reducing inflammation, reducing cellular build-up, minimizing bacteria production on the skin and delivering non-irritating antioxidants to quell the inflammation. This approach and its corresponding ingredients are excellent for the treatment of papules and pustules associated with rosacea. 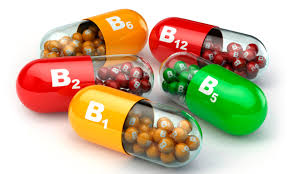 Bisazulene is a unique compound developed to fight against acne. Bisazulene is clinically proven to reduce and prevent acne lesions without the drying, redness and swelling commonly seen from benzoyl peroxide, salicylic acid or tretinoin. This lightweight gel incorporates nanosomes to deliver the active ingredients deep within the skin. 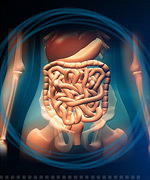 colloidal sulfur and zinc heal damaged, thin, inflamed skin that is often present in these inflammatory skin disorders. Vivant Skincare Sulfur Clay Mask penetrates deep into pores to remove impurities and improve your complexion. 10% sulfur helps to kill acne-causing bacteria to prevent future breakouts. Zinc sulfate calms inflammation and reduces scarring while defending your skin against environmental damage. Medik 8 Red Alert Cream contains 8% pharmaceutical grade Vitamin K and specialized extracts proven to treat and shrink broken veins (varicose) on facial skin. (1) Rosacea Care™ Colloidal Oatmeal Cleanser. Rosacea Care’s colloidal oatmeal cleanser which contains whole oats ground into an extremely fine, silky powder, is a favorite among rosacea sufferers due to its ability to cleanse skin and pores thoroughly while calming rosacea-sensitive skin. This cleanser contains high-grade colloidal oatmeal that can be used as a cleanser or a mask to reduce facial sensitivity. This new cleanser by Neutrogena is Dermatologist developed for even the most dry and sensitive skin. They emphasize that it was developed to cleanse even the most dry and sensitive skin, including rosacea and eczema. This creamy formula only contains a handful of ingredients and incorporates skin-caring and skin-calming ingredients to leave skin moisturized and protected as it cleanses. Hydralight One Step Face Cleanser is an easy-to-use gel cleanser for those who desire a fresh, clean sensation without a hint of residue. This gentle, yet effective cleanser removes excess oil and makeup (including eye makeup) without drying or stripping the skin. Even the most sensitive skin can use this cleanser. This is an extra-gentle, oil-free moisturizing cream that instantly calms skins with visible redness–even those with mild-to-moderate rosacea with inflamed, hypersensitive skin. 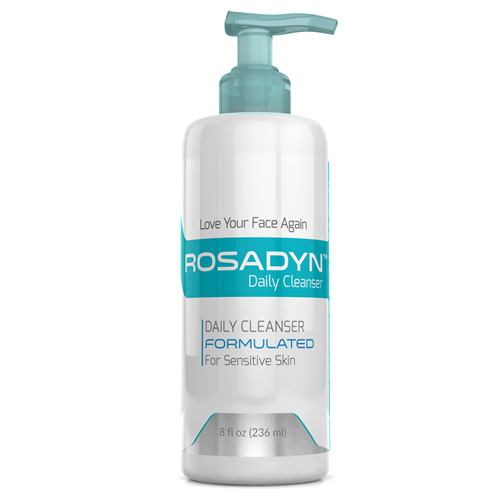 This new cleanser is excellent for rosacea sensitive skin. It moisturizers dry, inflamed skin while soothing facial redness with seven proven anti-inflammatory ingredients. RosaSkin’s cold-pressed Sea Buckthorn Oil has several qualities that make it an excellent choice for treating rosacea skin. This is a light oil that moisturizes dry, taut rosacea skin while delivering ingredients that reduce the production of inflammatory prostaglandins and cytokines found in high levels in rosacea skin. 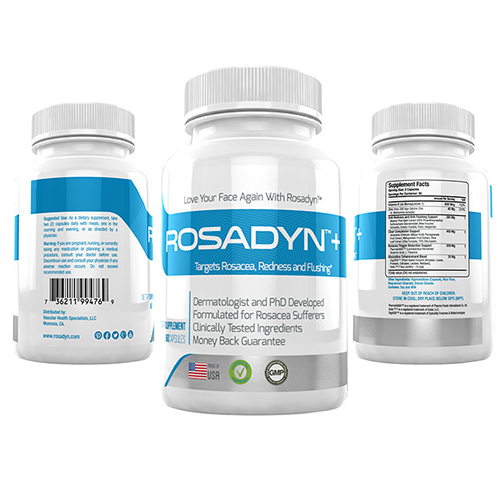 Comments: Used on a daily basis this product not only moisturizes skin and reduces superficial skin inflammation, but it interferes with the Demodex reproduction cycle (larvae hatching), slowly resulting in lower numbers of Demodex in rosacea skin. We also love their Manuka Honey Treatment Mask too! Soothing and healing and this youth-boosting lifting cream. 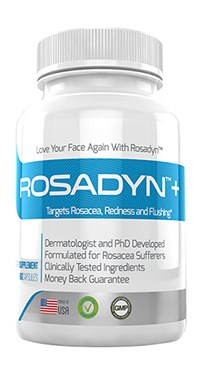 For rosacea sufferers with mature skin who want a potent anti-aging product but find most otc anti-age’rs irritating. Enriched with skin firming extracts of African Anogeissus bark, raspberry plant stem cells and Indian Commiphora (a healing plant used in traditional Ayurvedic medicine for centuries), it helps plump and tauten tired, sagging skin. Additional Benefits: Cosmetically helps reduce redness appearance via light reflectors also a slight sun screen action as well. 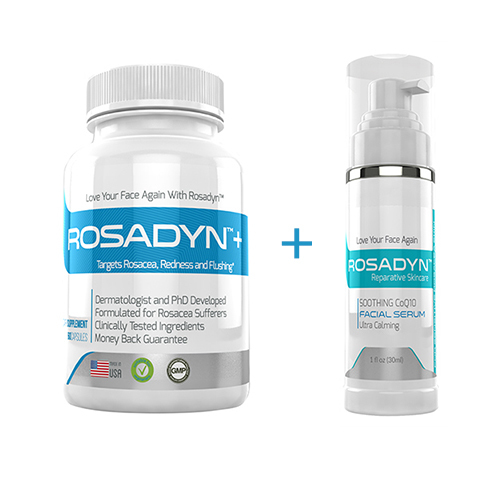 Rosaceas neurovascular dysregulation barrier dysfunction and poor pro-oxidant control Rosaliac AR Intense has been shown to have a soothing effect for rosacea dry and inflamed skin likely because of the anti-inflammatory and humectant activity of its ingredients. 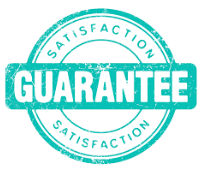 Additional benefits for: anti-inflamation and redness. Nature provides some awesome relief too! 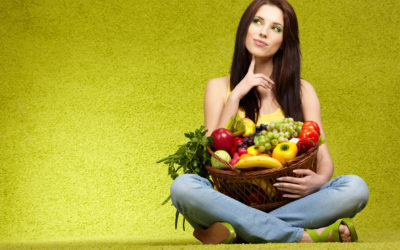 You may want to check out our article make your own skin pampering, anti-redness skin helpers. 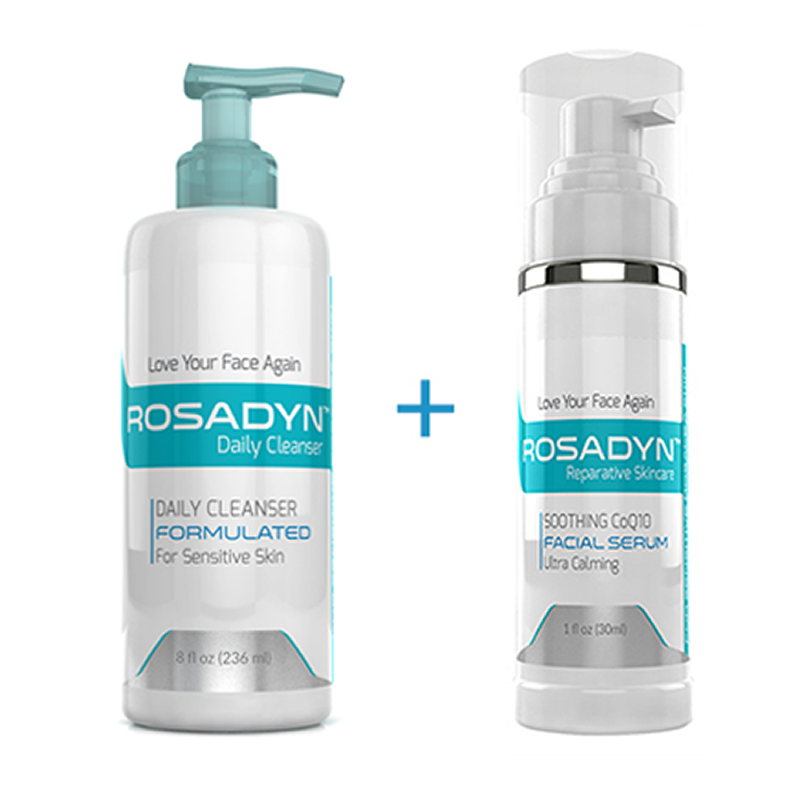 Help Us Build a Great OTC Skincare Resource for our Rosacea Community! 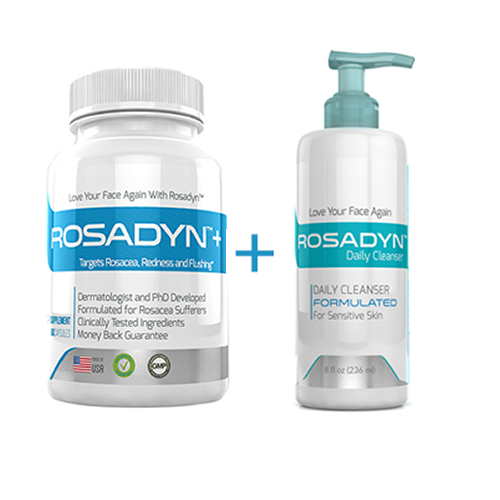 If you use a skin care line, product that has helped you manage and deal with rosacea’s annoying symptoms that you would like to recommend to others, we have set up a special page for you to share…..
Bookmark this page as we will regularly add great over-the-counter rosacea skin care products to the list..